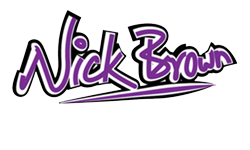 The Essex Magician Nick Brown – Quality close up magician for any event. Like many others, you may be considering adding some magical entertainment to your event, whether it is a wedding, a private party or corporate function. 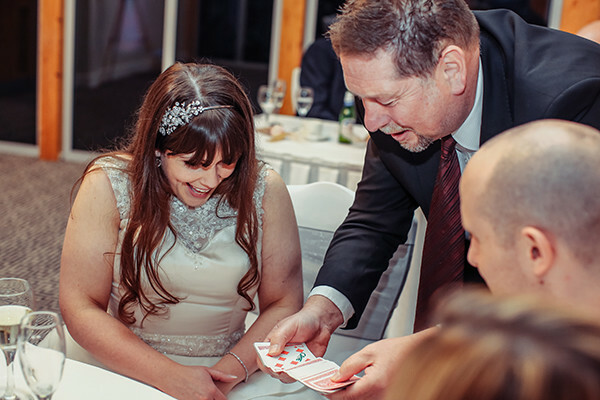 I can fulfil your need by entertaining your guests with my close-up magic skills, whether it is with a deck of cards, coins, snooker balls, rubber bands, fruit – or maybe even some objects borrowed from guests. My style is quite laid-back and my objective is to involve the guests in the fun. They often feel that they have done the magic themselves! 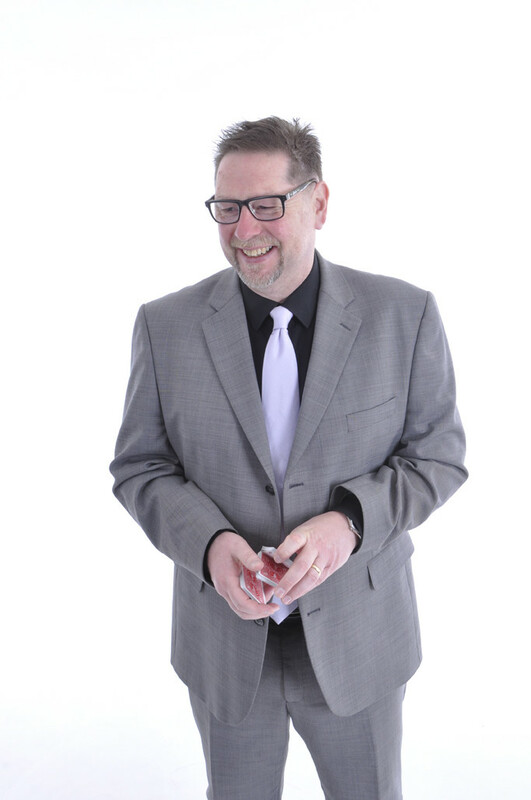 I have a wealth of experience performing to a wide range of people in a variety of environments, including parties of various sizes, weddings, gala dinners and awards ceremonies. I can tailor my performance to suit any situation from a small intimate gathering, to a large formal one. It is just a case of getting a clear understanding of how your event is planned and how we can impress your guests. There are some further ideas behind the other links but the next best step is an informal chat on the phone, or to send me an enquiry. 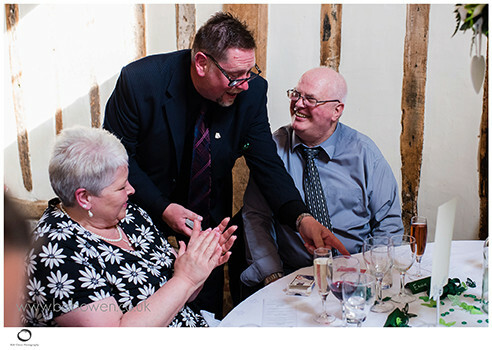 I can tailor my performance to suit any situation from a small intimate gathering, to a large formal one. It is just a case of getting a clear understanding of how your event is planned and how we can impress your guests. Send me an enquiry.